At Gunn Design Landscape Design & Construction, we aim to be involved in the whole design and build process – bringing a project right through from initial consultation to the finished built landscape. This process allows us to maintain a close partnership with our clients throughout the life of the project. We cover all aspects of the design and build process. Our focus is on the landscape design features where we can add value through our design and build skills, bringing in sub-contractors where necessary. 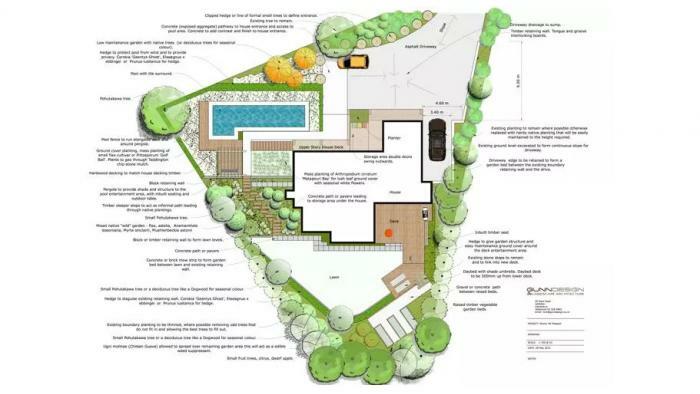 A garden design consultation is all about having a conversation to find out what you want and to explore possible ideas for your garden design. What is a well thought out garden design? This is a subjective concept - but ultimately a garden design should meet your needs and desires. What do you hope to achieve, the reasons are diverse - privacy, places to play and relax, to increase the desirability of your property for resale? Having an overall garden design will provide you with a cohesive look and feel for your property. Too often a garden can seem composed of components that have no relationship with each other. A good garden design will consider your needs and wants, the built structures that are on your property, the local environment in which you are situated, and the physical aspects which are unique to your property. Among the things to consider are: colour, contrast, texture, form, scale, balance, light, and pattern. And importantly, budget. Through discussion and design work, potential problems can be identified and solutions devised to mitigate their impact before any physical work begins. This will save you time and money in the long run. An overall garden design provides you with a unified vision for your property and a plan for achieving this vision. We bring design experience and creative inspiration, plant knowledge, an understanding of the costs and practicalities associated with landscape construction, and an unbiased eye to your property. Together, through a collaborative design process, a garden design that suits your needs is developed. Concept ideas – This stage is all about getting ideas flowing and presenting them to the you in a cost effective way. This will allow you to visualise the direction that we aim to take with the design. These ideas can include quick sketches, plan drawings, 3D presentations, or a combination of images and discussion. If the site and the design is dependent on changes in level, such as on a hill site with retaining, varying deck levels and steps, then we will combine actual site levels into these initial ideas. Doing this during the initial concept design process enables us to ensure that the design is going to work in practise. Concept plans – Once agreement has been reached on the direction the landscape design is taking, we start refining these ideas. These ideas are then presented to the you in a concept plan. Detailing – If necessary, detailed drawings are produced for any technical and building consent issues. Consent application – We can handle the consent application and approval process if this is required. Project management – Quotes and estimates are obtained, sub-contractors are engaged if necessary, and a project schedule is developed for implementing your landscape design. 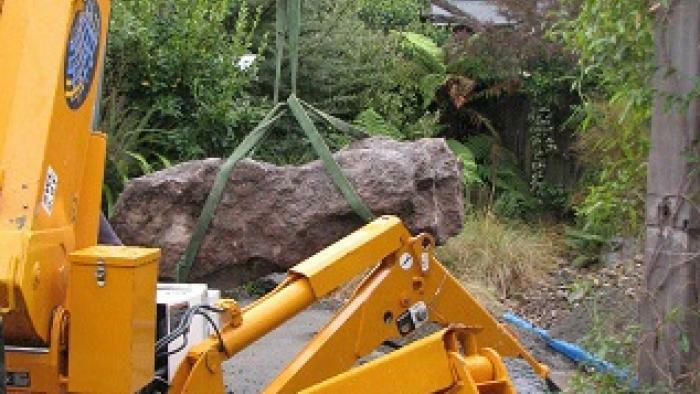 Shaping the land – Often the land will need to be shaped, especially on hillside properties, to accommodate pathways, entertainment areas, etc. Shaping the land is the first step in implementing most plans. Building structures – Next comes building garden structures such as retaining walls, decks, pathways, steps, and pergolas. Sculpt – Incorporating artworks into the landscape, such as water features, can help to create a relaxing atmosphere. Plant – Once the hard structures have been built the planting is done.